Echo Trading Follower - "New"
Echo Trading Leader - "New"
The CTA Database is a secure and user-friendly tool for customizing your investment needs. This new alternative investment and wealth advisor database focuses on providing investors with powerful, innovative tools for building investments strategies. Through this robust CTA Database, users have the ability to search an extensive list of qualified CTAs to invest with. Learn more about CTA's here. Monitor programs easily by saving them to your watch list for easy access. View individual program performance and risk summary. The CTA database provides a comprehensive view of program performance with clear easy to read charts, graphs and tables. Construct custom portfolios to fit your investment needs. 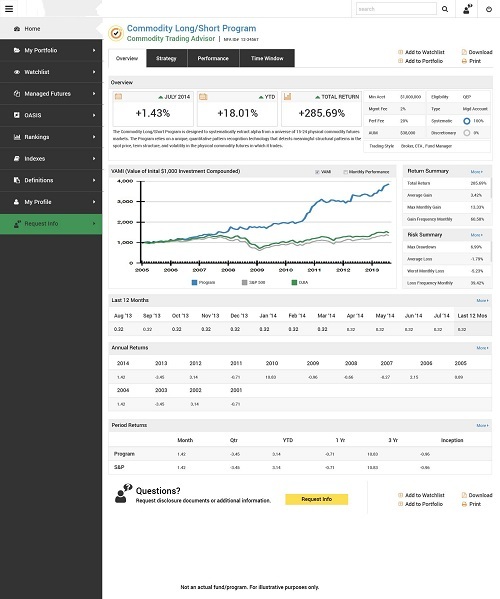 Create hypothetical portfolios and track performance with latest data. Know instantly when CTA's update performance with the activity newsfeed and alerts. Maximize your search options by using the advanced search options to filter the database and identify programs that meet your criteria. Complete access to historical data, including annual returns, monthly returns and risk summaries. 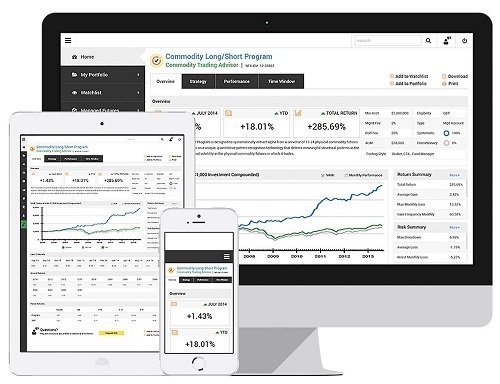 This innovative database gives you the tools to build and analyze managed futures strategies. Go beyond basic performance reporting with comprehensive statistics on both a program and portfolio basis. See how managed futures programs and your hypothetical portfolio stack up against key benchmarks. 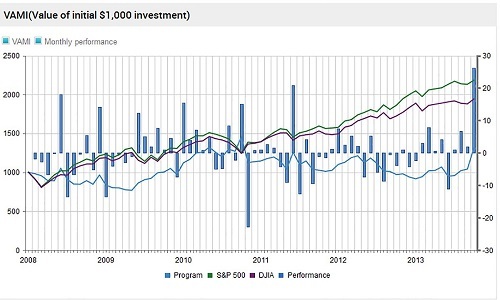 Time window gives investors a view of program performance across various timeframes. Within time window reporting investors can find monthly and yearly ROR, Average ROR, Average gains, P/L ratios, and much more. Smart phone and tablet compatibility allow for analytics at your fingertips. Access this CTA database any time from any device. Detailed performance sheets for managed futures programs in PDF or printable format.